A subpoena likely would come next from Neal, who told Rettig the IRS has “an unambiguous legal obligation” to turn over the six years of Trump’s personal tax returns and some business returns that Neal has asked for. Neal’s renewed request is the latest step in what’s expected to be a protracted fight over Trump’s tax returns and comes one day after House Oversight Committee Chairman Elijah Cummings (D-Md.) announced plans to subpoena a decade’s worth of Trump’s financial data from an accounting firm tied to the president. Mnuchin, speaking today to reporters at the World Bank-International Monetary Fund meeting, accused Neal of picking arbitrary dates, and said that the implications of Neal’s request are constitutional and go way beyond congressional oversight and precedent. Mnuchin said he was sure he’d provide an answer by the next deadline, but wouldn’t commit to finishing a legal review within that time frame, adding that it’s his responsibility to ensure the IRS doesn’t get weaponized as it was under the Nixon administration. Neal is seeking Trump’s returns under a law that allows the chairs of Congress’s tax committees to examine confidential tax information. The administration has left little doubt that it will reject Neal’s request. But Ways and Means aides don’t expect any subpoena until some time after Congress returns from recess on April 29. Neal first told Rettig to fork over Trump’s tax returns by April 10, but Mnuchin answered that day saying he couldn’t meet the deadline. Mnuchin also said he was consulting with Justice Department lawyers about oversight authority and questioned Neal’s motives. “Those concerns lack merit,” Neal wrote in his new letter to Rettig. Trump has insisted he won’t comply, saying that he’s being audited and can’t publicize his tax returns, a claim he’s made since he campaigned for the White House. Trump breached decades of tradition in which leading candidates from both parties always released their tax returns during their runs for the presidency. 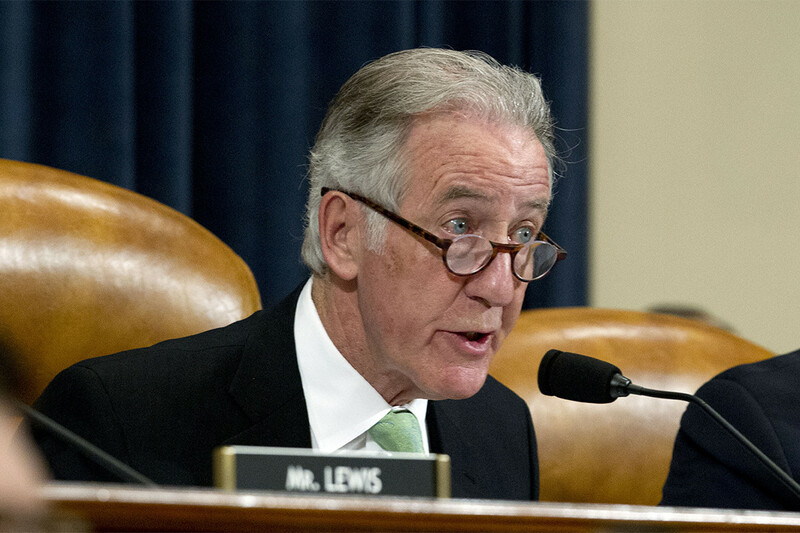 Republicans have consistently charged that congressional Democrats are using the statute that allows Neal to request the president’s tax returns as a political weapon, warning that doing so sets a dangerous precedent. But Neal and the lawyers advising him believe they’re on sound legal footing. Neal’s new letter repeated Democrats’ assertions that the request for Trump’s returns “falls squarely within the Committee’s oversight authority.” He cited 10 judicial precedents on the matter and said that the Supreme Court has time and again reaffirmed the legislative branch’s role. “It is not the proper function of the IRS, Treasury, or Justice to question or second guess the motivations of the Committee or its reasonable determinations regarding its need for the requested tax returns and return information,” the letter said. Neal addressed both his letters to Rettig, but in hearings this week Rettig told lawmakers that the IRS is a bureau of the Treasury. Previous articleAfghanistan: Is peace with the Taliban possible?